The iconic brick-arranging, brainteasing video game classic Tetris turned 30 this week, yet remains a staple for novice to advanced gaming enthusiasts worldwide. First created by Russian engineer Alexey Pajitnov and eventually sold to Nintendo after a messy international battle over the game's rights (Pajitnov, a student at the time of the game's creation, would not see royalties for another 10 years due to his work technically being property of glorious Mother Russia), the beloved game has crossed oceans, language barriers, and gaming interfaces for over a generation. Pajitnov's game had fascinating societal implications during the dawn of the personal computing age. As he would later tell the Guardian, "Tetris came along early and had a very important role in breaking down ordinary people's inhibitions in front of computers, which were scary objects to non-professionals used to pen and paper. But the fact that something so simple and beautiful could appear on screen destroyed that barrier." Over fifty takeoffs of the Tetris empire exist, ranging from the sequel (Tetris 2) to Pajitnov's other endeavors (Hatris...a version with hats!) to the more esoteric (Tetripz.) The game's addictive nature has been explained by some psychologists as a means to offer an endlessly-satiating ability of completing small tasks in a neat manner. Enjoy 30 fun Tetris facts by Digital Spy. 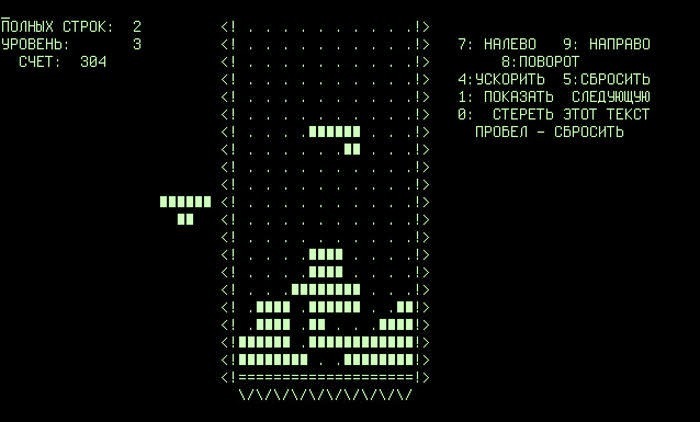 Alexey Pajitnov's original Tetris design.